At OzPump, we pride ourselves on being an Australian owned and operated supplier of high-quality pumps and pump accessories for use across Agricultural, Domestic, Industrial and Aquaculture applications. 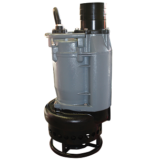 We have a quality range of pumps from leading brands in a variety of sizes to suit your needs, all competitively priced. Our team of experts are dedicated to providing our customers with exceptional deals and service across our entire pumps range and are on hand during office hours to answer any enquiries. Whether you require a pump for the food and beverage industry, domestic use or agricultural purposes, you can trust our team to provide a solution that meets all of your requirements. Looking for a particular pump product but just can’t find it anywhere? Send us an enquiry and we will source it for you.